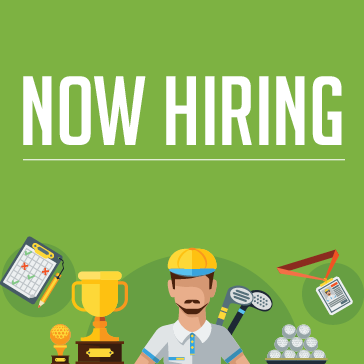 Explore below to find out what it means to work at Forest Preserve Golf and check to see what job openings are available. Forest Preserve Golf takes great pride in hiring the best team to serve our guests. You must be fully committed to ACE the Guest Experience™ every day. Our Team is always prepared to create an enjoyable and respectful experience for our guests. We share a commitment with all of our employees to provide you with opportunities for professional growth, to develop innovative ideas, and provide a safe workplace. We are always accepting applications for those who are ready to join our team. We are always hiring the right people who have the right attitude, work ethic, dedication and who are fully committed. To apply, please print and complete the employment application (listed above) and visit any Forest Preserve Golf Course to meet with a member of our team today. Call the course directly, if you have any questions!